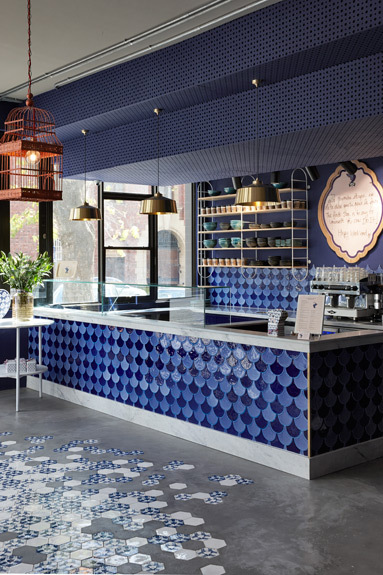 Swan Café is Cape Town’s first authentic Parisian Creperie in the Mother City’s East City Precinct. 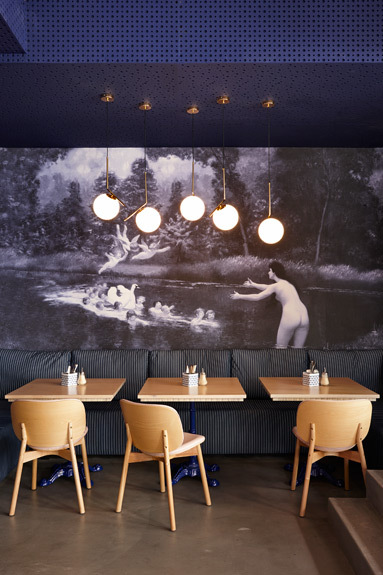 At the heart of the interior design concept, is the swan, a graceful, creative and feminine symbol associated with love, music and poetry. 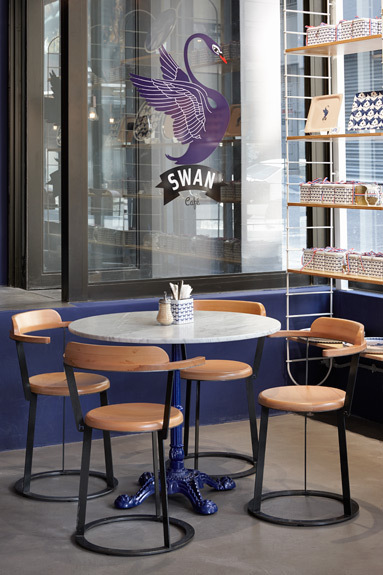 The swan logo was designed by Heidi Chisholm and the motif is repeated throughout the restaurant’s interior. 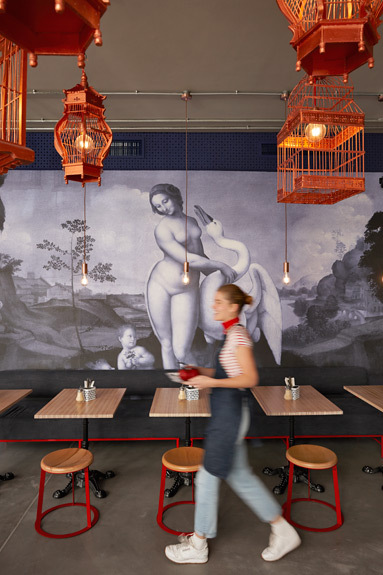 Monochromatic, custom design wallpaper featuring Leonardo da Vinci’s “Leda and the Swan” and Jean-Leon Germone’s version cover two of the main walls reinforcing the majestic and romantic theme. 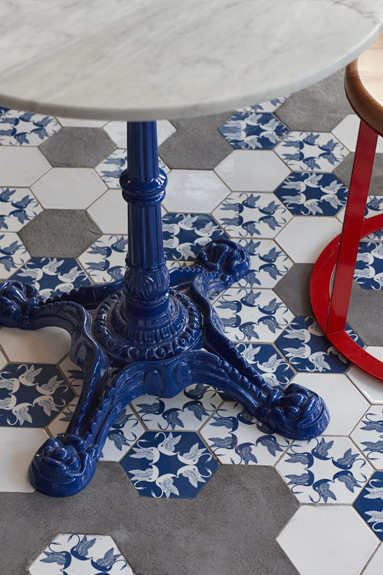 The colour palette was inspired by the colours of the French flag with uses of dark blue, white and accents of red throughout the space. 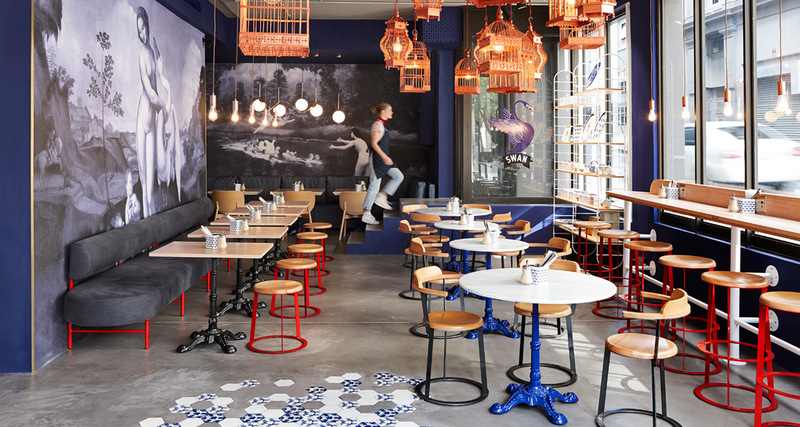 Marble bistro tables, bespoke chairs and vintage lighting were carefully selected to replicate the atmosphere and feel of a typical French café. 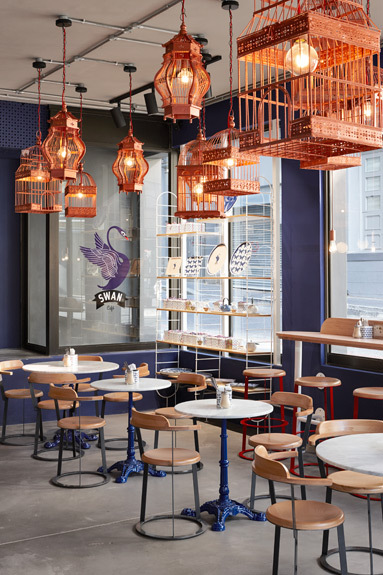 Copper birdcages were hung from the ceiling to reinforce the avian theme. 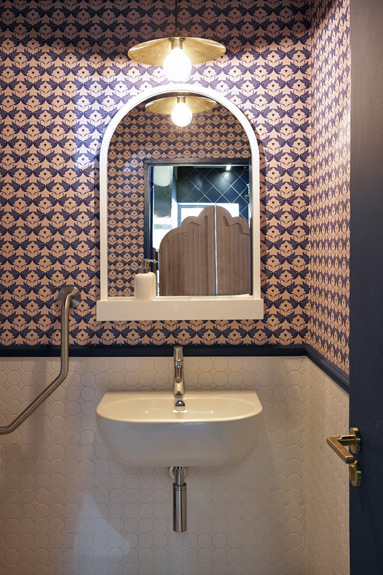 The result is a delightful space with loads of cheeky, Parisian attitude. 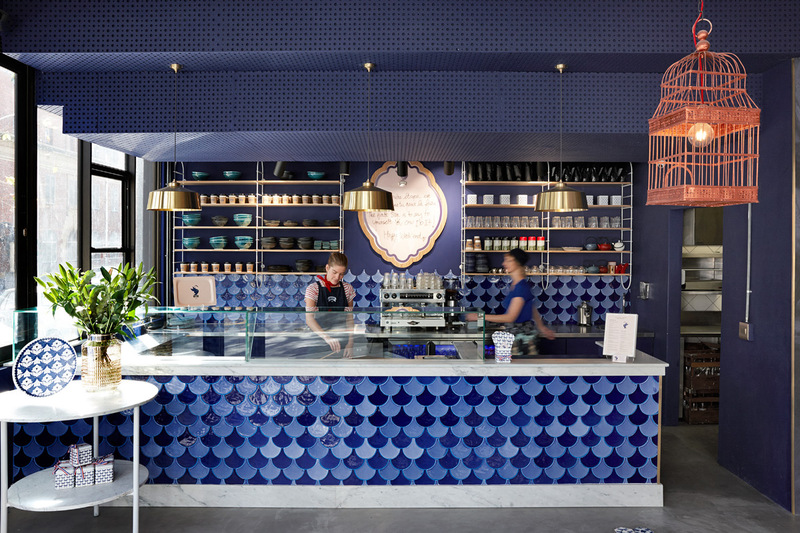 We especially love the fish scale tiles featured on and behind the service counter, the repeated swan logo on the hexagonal floor tiles and bathroom wallpaper and, of course, the crepes. 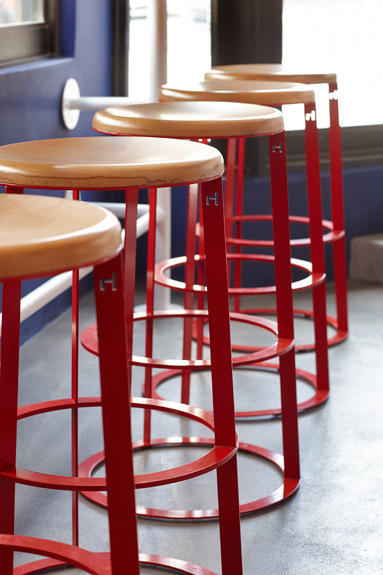 Definitely, the crepes!